The structure of EcoStack includes 9 scientific Work Packages (WP), that are designed to develop sustainable strategies for plant production and protection strategies (PPS). This work package sets out the ‘ethics requirements’ that the project must comply with. 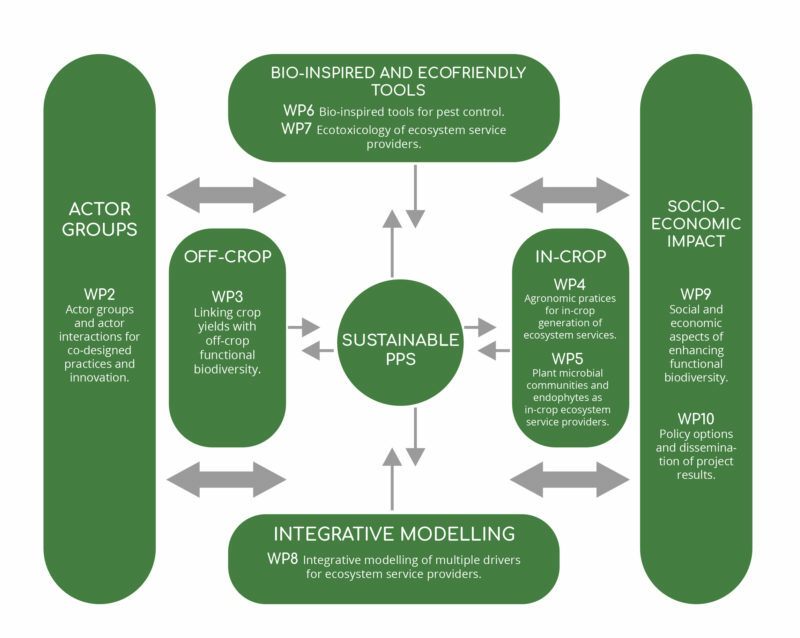 The objective of WP 2 is to establish a multi-level actor groups and farm networks for European pedo-climatic and socio-economic conditions as the basis for an adaptive co-management approach to support agricultural production using functional biodiversity. This will be achieved by (1) engaging with different actors (including farmers, agrochemical companies & policy-makers) spanning different farming sectors/systems and at different levels (local to international) to guide development of new systems, concepts and policy instruments for maximizing benefits from Ecosystem Service Providers; at appropriate temporal and spatial scales, (2) creating a common knowledge bank enabling multi-directional exchange and generation of knowledge, ideas and innovative solutions regarding pest management and pollination among actors, (3) establishing an adaptive co-management iterative cycle as the basis for future innovation and testing beyond the life of this project. The objective of WP3 is to quantify the relationship between ESP, pests and crop yield by combining experimental provisioning of resources for ESP with yield maps from GPS-enabled harvesters. This will be achieved by (1) linking off-crop habitat provision with in-crop yield variation, by using farmers’ yield map data from GPS-enabled harvesters, (2) establishing experimental framework to optimize off-crop habitats to support ESP populations and movement for service provision at field/landscape scale, (3) tracking shifts in abundance of ESP between in-crop and off-crop habitats through the growing season using time lapse imagery and machine learning tools, (4) quantifying the direct and indirect interactions of pests, natural enemies and pollinators between crops and off-crop habitats by combining DNA-barcoding and ecological network analysis. The objective of WP 4 is to develop and integrate agronomic practices that protect ESPs, in order to promote functional biodiversity and its support to plant and environmental health. This will be achieved by (1) exploiting crop genetic diversity for suppression of pest insect populations, enhancement of biological pest control, and improvement of crop performance and yield quality (2) utilising and manage in-crop plant biodiversity to support pollination and biological control services in agricultural systems, (3) developing the potential of organic mulches to support crop health and functional biodiversity within the crop, (4) defining innovative uses of ecological infrastructures and soil management for the enhancement of ecosystem services within the crop. The objective of WP 5 is to study the role of endophytes and microbial communities associated with plants in modulating their interactions with pests, diseases, natural antagonists, and pollinators, and to use beneficial microbial consortia, endophytes and biostimulants derived from them to enhance plant defense barriers and protect pollinators. This will be achieved by (1) investigating the effect of selected in-crop interventions on the diversity and community structure of plant-associated microorganisms, (2) assessing the impact of introduced plant beneficial microorganisms/microbial communities alone and in combination with microbial biostimulant metabolites on plant pests and diseases, natural enemies and pollinators, (3) determining the role of endophytes in steering higher trophic level ecosystem services: bottom-up effects on natural enemies of pests and on pollinators, (4) using microbial consortia and endophytes to enhance plant defense barriers and protect pollinators. The objective of WP 6 is to enhance the impact of natural antagonists through biologically-inspired technologies, which will enable the pest management capacity of biological control agents (BCA) to be taken beyond the organism level. 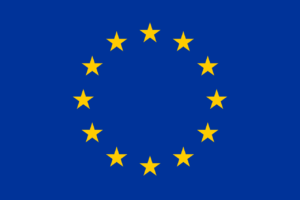 This will be achieved through: (1) generation of biopesticides from key natural antagonists of pests and pathogens (2) development of bioinspired technologies for reducing pest fitness and enhancing BCA impact, (3) use of plant signaling molecules to enhance defence barriers, (4) assessment of the risk associated with the use of the new insect control tools and technologies. The objective of WP 7 is to generate accurate knowledge on the effects, both at laboratory and field level, that the most commonly used pesticides and their combinations have on ESP species widely occurring across EU. developing a detailed set of standard procedures for testing ESP species for pesticide effects in-field and in laboratory conditions, (3) constructing species sensitivity distribution (SSD) profiles for ESP species, for insecticides most commonly and/or used in the largest quantities in the EU, (4) estimating the frequency and magnitude of interactive and non-lethal (sub-chronic and/or chronic) effects on ESPs of the pesticides which are applied in mixtures or sequential application. 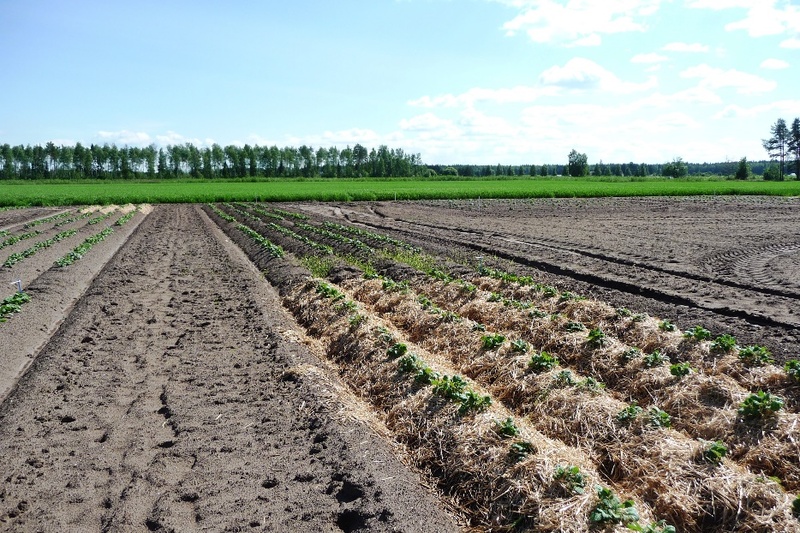 The objective of WP 8 is to develop integrative modelling approaches for predicting the effects on ESPs and agriculture of management strategies and tools developed by EcoStack. This will be achieved by (1) providing tools for upscaling and evaluating management strategies from local to international scales, (2) integrating agricultural management, landscape characteristics, organism ecology and behaviour, using ALMaSS to predict impacts of EcoStack proposed strategies on ESPs and agriculture, (3) assessing synergistic/antagonistic effects of proposed methodologies on functional biodiversity and the environment. The objective of WP 9 is to identify and analyse the socio-economic impact of the strategies developed by EcoStack at farm level and from a societal perspective, to study the potential uptake of EcoStack strategies by farmers and to illustrate needs for support and incentives. This will be achieved by analysing the strategies and tools developed by EcoStack in order to (1) describe all relevant socio-economic impacts, (2) assess their overall socio-economic potential, (3) identify factors affecting farmers’ decision making and potential uptake and (4) measure viable socio-economic gains and losses. The objective of WP 10 is to promote evidence-based policy development in the EU, to transfer the results to relevant stakeholders and raise public awareness concerning the protection and exploitation of functional biodiversity to achieve productivity gains in sustainable agriculture. This will be achieved by (1) preparing and presenting policy options to decision-makers concerning the exploitation of functional biodiversity to achieve productivity gains in agriculture, (2) supporting acceptance and uptake of ECOSTACK results by early and continuous engagement with Actor Groups, (3) facilitating enhanced uptake of ECOSTACK in Europe through the co-design and development of an on-line resource hub and a range of within-country dissemination and training activities, (4) continually assessing impacts and embed a long term legacy to exploit functional biodiversity within the farming sector in Europe. The objective of WP 11 is to provide the scientific coordination of EcoStack, along with its legal and financial management, in order to ensure compliance with Grant Agreement conditions.